There’s nothing like a summer holiday to refresh body and soul at the hottest time of the year. And if it’s by the sea, so much the better. Below, EL PAÍS has selected the best hotels in Spain with sea views – from north to south, taking in the Balearic and Canary Islands – with rooms where the surf practically laps at the foot of your bed. Terrace at Hotel El Far, in Girona. 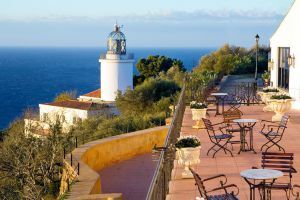 Some 175 meters above the sea, on the Costa Brava, the Romaboira lighthouse in Girona province retains a former hermitage that today offers nine rooms, a stone chapel, and a restaurant specializing in Mediterranean cuisine. Room number 3, with a balcony hanging over the cliffs and a terrace with views of the lighthouse, offers the best views of the gentle summer swell. The Azores archipelago brings us back to medieval times and European myths. The O Faial Island belongs to a group of 9 islands that were discovered during the first half of the XV century and began to be populated in 1460. The 4th of July of 1833 the Portuguese king Manuel I promoted the port of Horta, it’s capital, to a city. Horta owes its name to its first settler’s last name, Captain Joss Van Hurtere. From this harbor the whaling expeditions of the Portuguese Empire would set sail back then, today international voyagers crossing the Atlantic Ocean from America to Europe dock here. 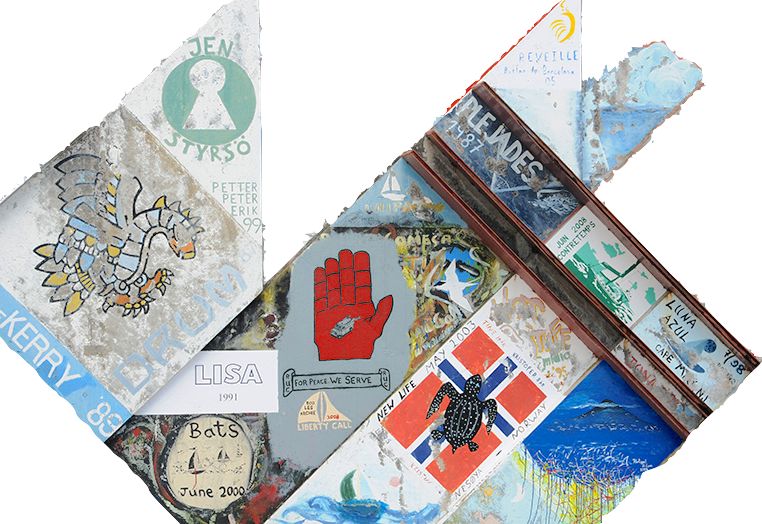 The mythical port of Horta, in the Azores Islands, is covered in annotations and paintings reflecting past experiences of maritime navigation, some unexpectedly tipping over, others tragically sinking. Always cautious with the wind, having no disdain for the strong hurricane gusts found among the Gulf.